The Technion team, made up of students from the faculties of aerospace and electrical engineering, was awarded second place in a prestigious international competition held in Maryland, USA. A student team from the Technion, under the supervision of Dror Artzi, Amit Aides and Itai Orr, won second place (out of 55 teams) in a prestigious competition held by the Association for Unmanned Vehicles Systems International (AUVSI), which took place last weekend in Maryland, USA. The international Student Unmanned Air Systems (SUAS) Competition attracts students from universities all over the world, yet most of the competitors are from the US. 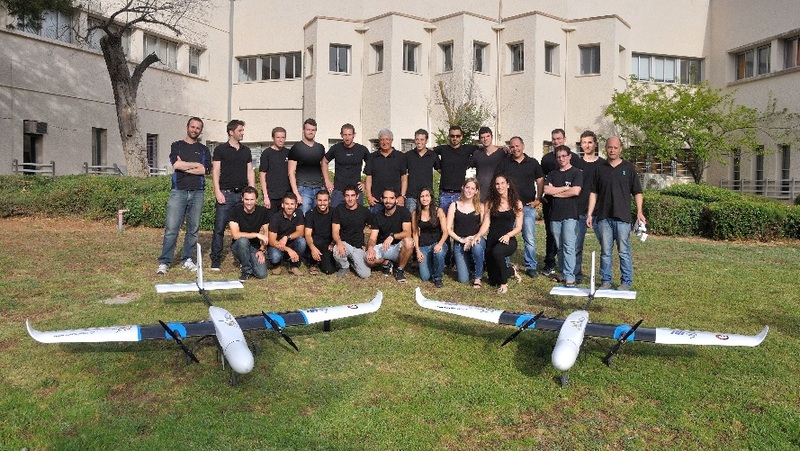 The Technion team, which included students from the faculties of aerospace and electrical engineering, were among the 32 teams that made it to the flight course round of the competition and ultimately won second place. They developed two airborne systems that performed autonomous flight, target identification, aerial cargo delivery and obstacle avoidance, all while maintaining communication links to the ground station. Each aircraft was installed with advanced systems including a stabilized camera, an airborne computer image processing and communication system for controlling, monitoring and transferring images. The competing teams were allotted 20 minutes to deploy their systems, including setting up their ground station. The team’s UAV flew for 26 minutes, during which time it performed the following tasks – autonomous navigation, search area coverage, identification of ground targets, image classification and identification of an off-axis target. All this, while performing autonomous flight and data transmission in real time to the ground station. In addition, the Technion was the only team to autonomously avoid obstacles placed in the flight zone. The competition also demanded performing a Flight Readiness Review, and in this category the team received many compliments from the judges. For writing the engineering document (Journal Paper) the team earned the highest points and ranked in first place.